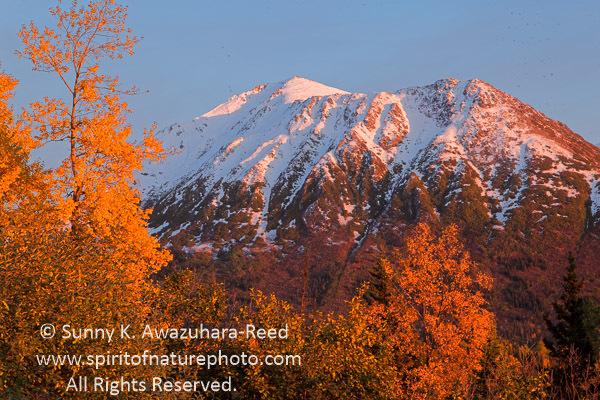 It was mid September when the first snow fell on the mountains just outside of Anchorage. The past summer the weather was unusually nice and warm paving the way for vibrant fall colors around the city and surrounding mountains. It was mid September when light snow dusted the high peaks. "Termination dust" as the locals call it indicating the termination of summer in Alaska, and about a month later, permanent snow would fall and stay. 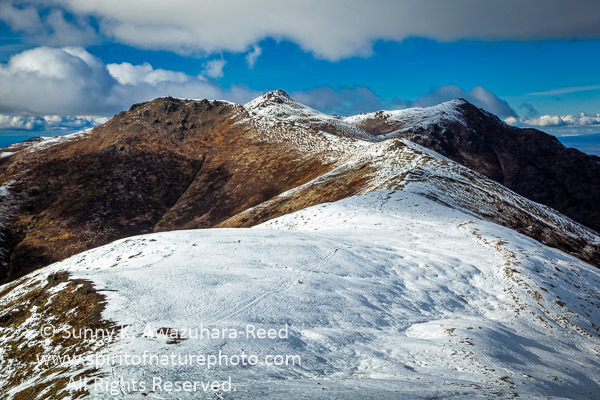 From Rendezvous Peak, Chugach Mountain peaks were covered with snow while the foothills and valleys were still in Autumn colors. 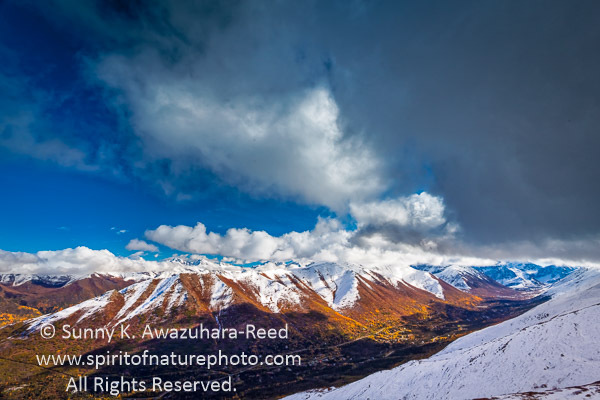 Rendezvous Ridge was dusted with fresh snow. At the lower elevations, fall foliages were still vivid among new snow. Fall color trees with distant peaks, also snow dusted. 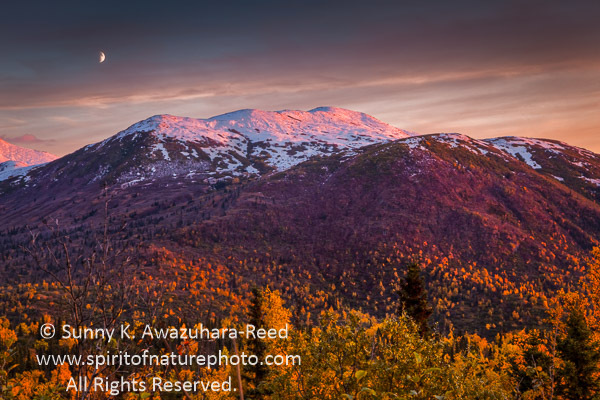 Mountains aglow in rose color at sunset. Finally snow reached ground level in late October. The long Alaskan winter has begun... Snow will stay another half year. 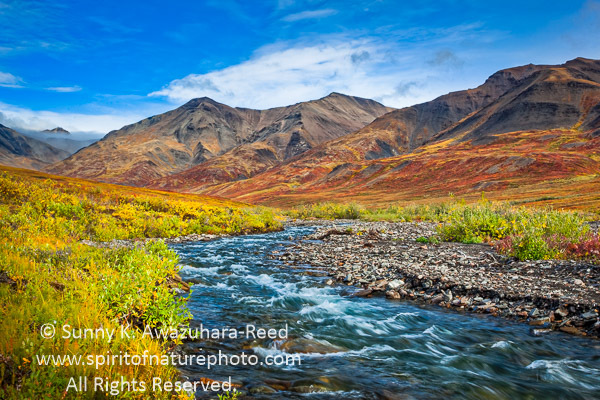 I will post some more Alaskan wilderness images from the past summer in the next posting. Please check back in 2 weeks! In mid August 2015, I headed north, the far north, above the Arctic Circle to explore the Gates of the Arctic National Park & Preserve. It had been almost 3 years since I was there last. I wanted to explore and photograph more in depth this time... 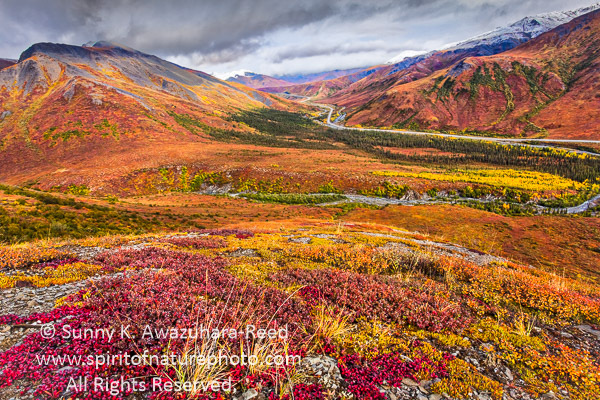 The Gates of the Arctic National Park & Preserve is true remote wilderness, it is hundreds of miles away from civilization, and the weather and environment can be harsh. Only a handful of people venture into the area during the short summer season. There aren't any visitor facilities or established trails, so you have to be very self-sufficient. It was gray and rained constantly since leaving Anchorage and while passing through Denali and Fairbanks... It was typical weather in Alaska during August. When I crossed the Yukon River and made it to the Arctic Circle, it was raining hard... Camping in cold rain isn't my favorite! It was raining on and off all the next day driving through the Dalton Highway along the Brooks Range. This remote wilderness seems depressing in the dark overcast weather. 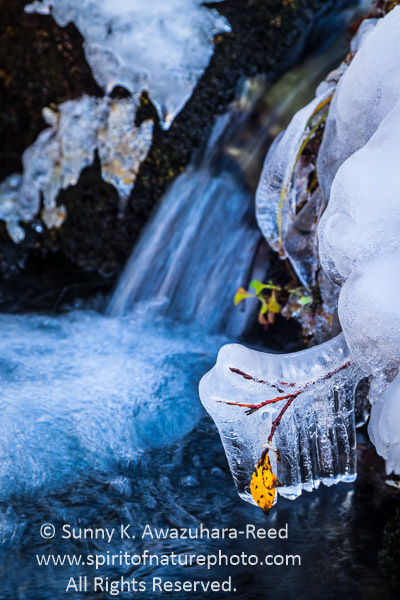 Autumn was already in the air here in the Arctic north in mid August! 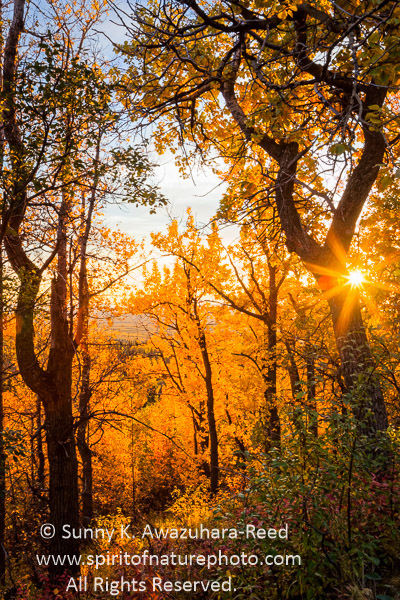 The brilliant fall colors were at least brightening us up. 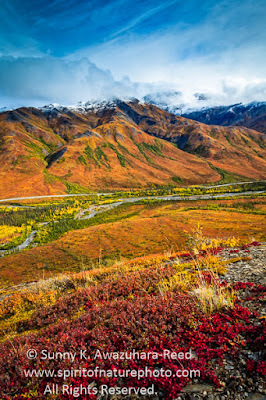 The rain got harder when we finally arrived at the Gates of the Arctic and Arctic National Wildlife Refuge area... and it was drenching overnight till late the next morning! Finally, the rain slowed down in late morning as three of us packed up camp and prepared for several days backpacking into the park. Starting at the Dalton Highway, we crossed the icy cold Dietrich River then climbed up the brushy tundra hill for a few hours. It was a long steep climb with heavy packs. Reaching the flat area of the mountain ridge, we officially entered the National Park boundary. Clouds were gathering above us while we walked across the marshy tundra on the ridge... and a stormy rain began to fall! We put on rain jackets and pants, and covered up our packs in the stormy wind. Sadly, the rain turned to hail! After we were wet and cold, the sun came out and brought up multiple rainbows over the mountains. 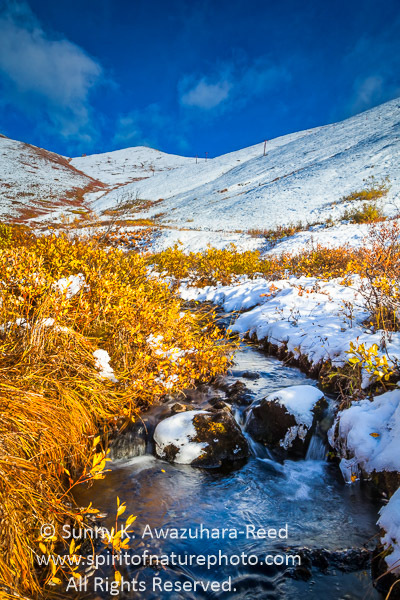 We traversed through the wet and marshy tundra covered mountain till finally we descended down towards Kuyuktuvuk Creek. It was much harder than backpacking on established trails... The three of us set up base camp at the creek that night. It was at least partly sunny the next day. We hiked along the creek with daypacks only and camera gear for me. 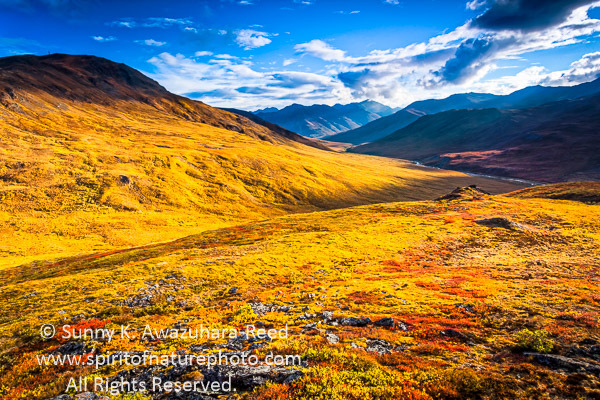 The fall colors in the tundra were colorful in this Arctic region - red, orange and yellow patchwork! The colors really stood out in the sunshine! 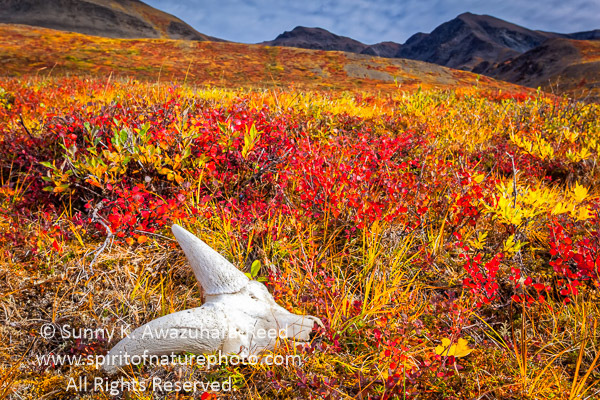 A skull from a Dall Sheep was found on the tundra hill... The place was truly wild, away from towns, no phone signals, and no other people besides the three of us... If something tragic happened, there wasn't any way to call for rescue and our bodies weren't going to be found for years, just like this sheep. Better weather was waiting for us at the other side of mountain ridge. No more snowing, and sunshine! Finally, I took out my camera. The vast landscape with endless mountain scenery was amazing... 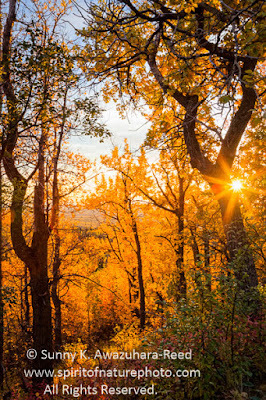 Hundreds of thousands of miles of untouched wilderness! 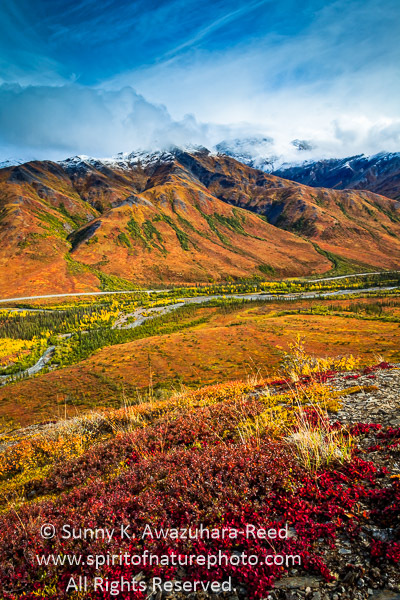 Dalton Highway and Pipeline was the only human evidence in the area. This remote Arctic North is truly beautiful, but at the same time, I sensed nature's brutal power. 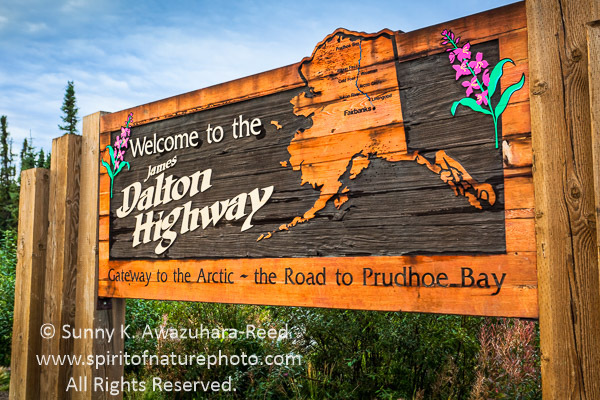 Beginning of the Dalton Highway. 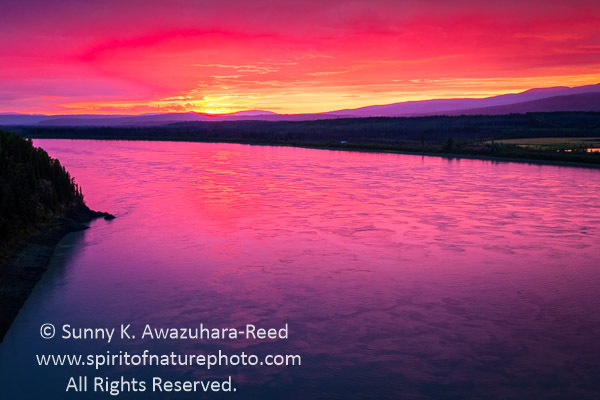 Breathtaking sunset at the Yukon River. Old mining town of Wiseman. 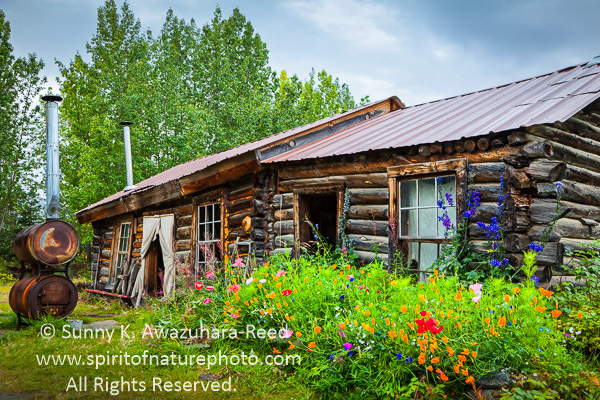 This old cabin is a museum now. 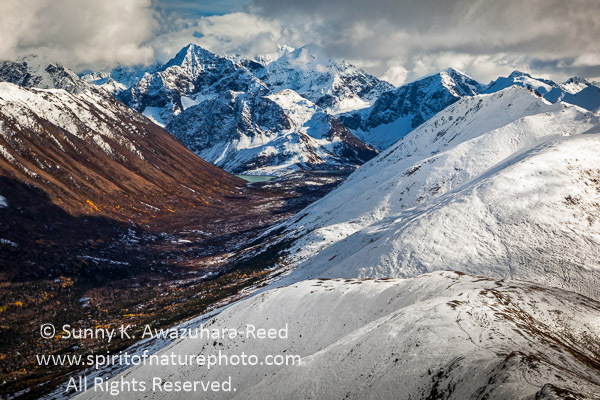 More images from Alaskan wilderness will be in the next posting. Please check back!